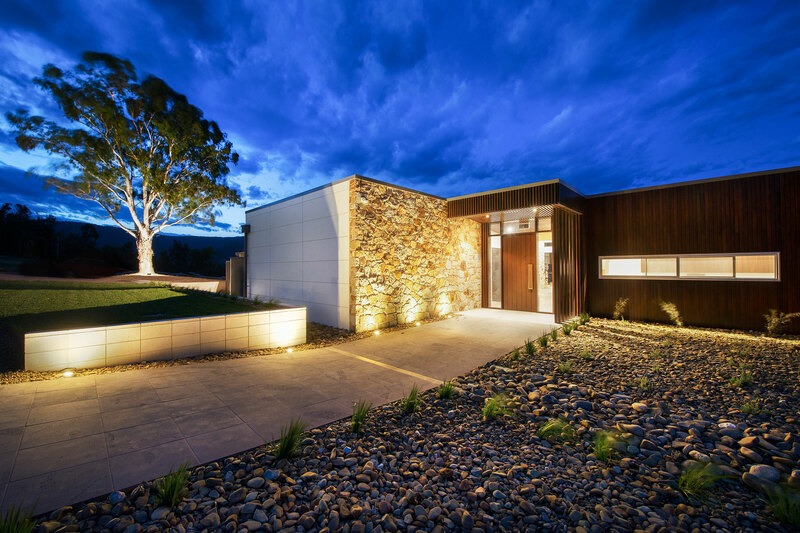 Expertly handcrafted High Country home renovation and extension. 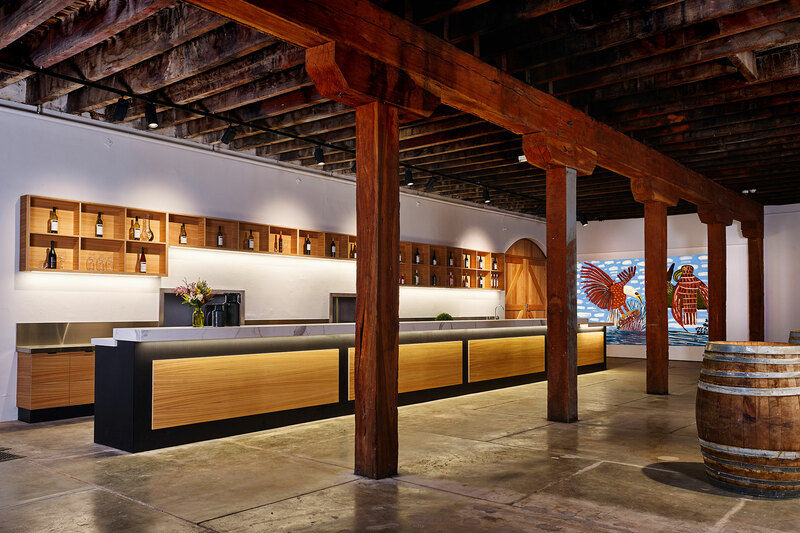 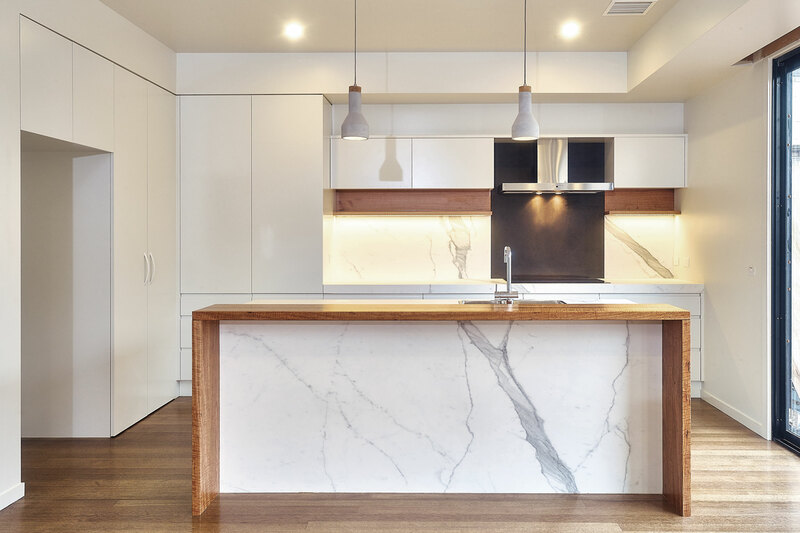 Featuring premium Australian hardwoods, custom hardware and fittings. 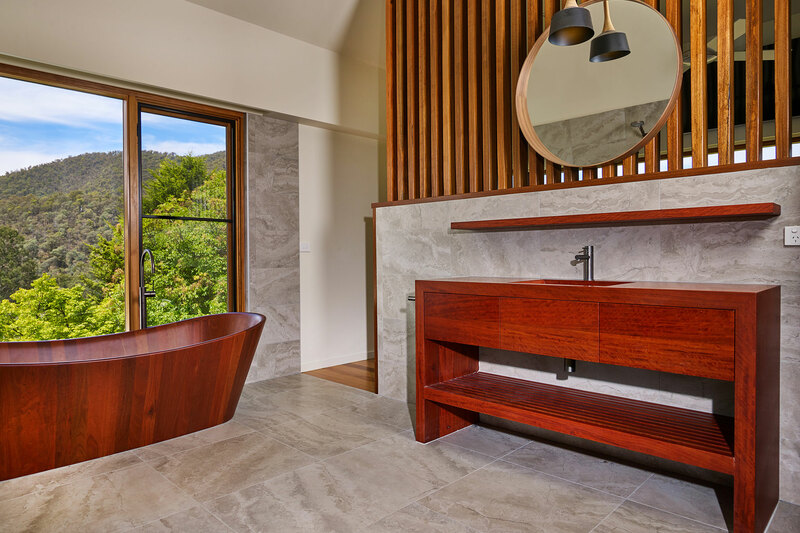 Second level adult's retreat with feature timber bathroom. 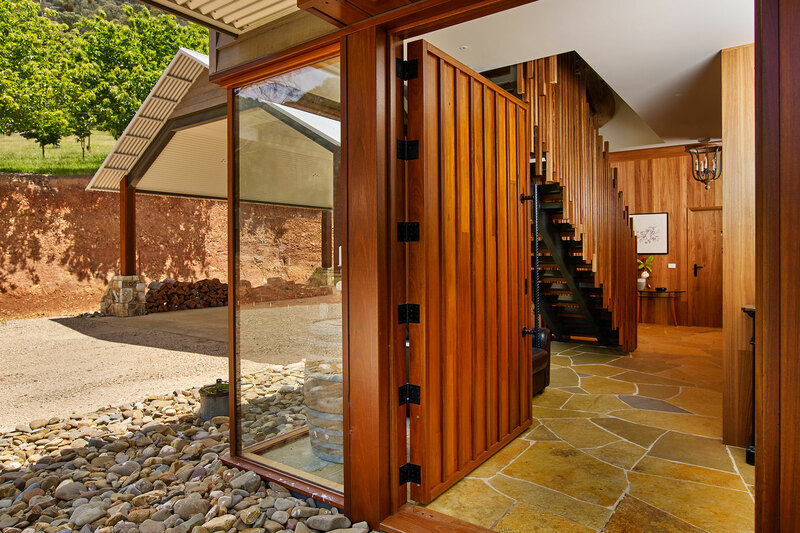 A passive solar design was a key principle for a home built using locally sourced materials. 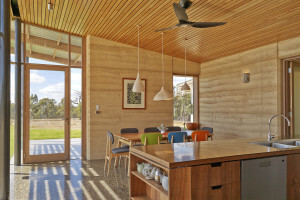 Polished concrete floor, rammed earth walls and a unique custom-selected marine ply kitchen crafts character and warmth. 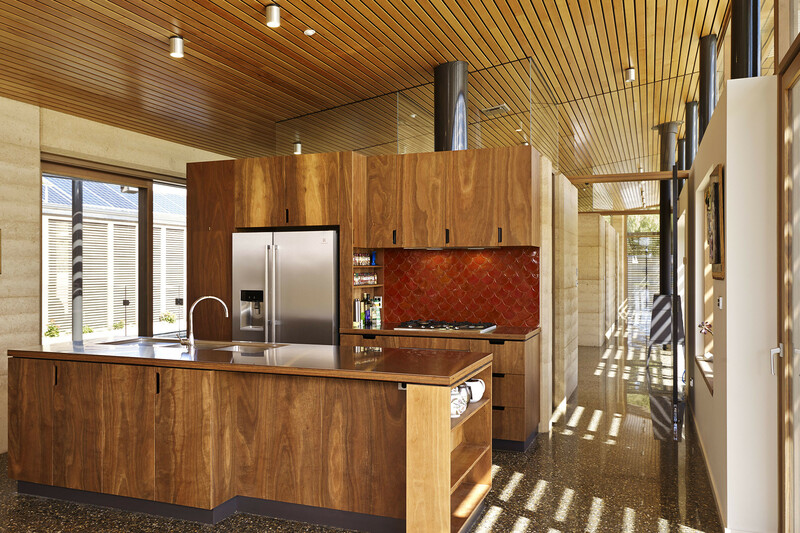 The sun-filled living room opens up to reveal a tastefully designed, modern and streamlined kitchen. 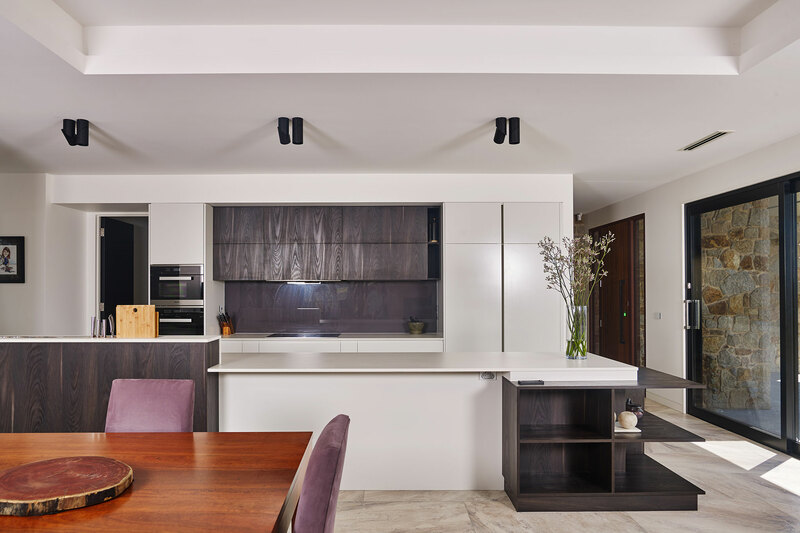 Contemporary living, clean lines and stunning natural light is a feature of this modern home. 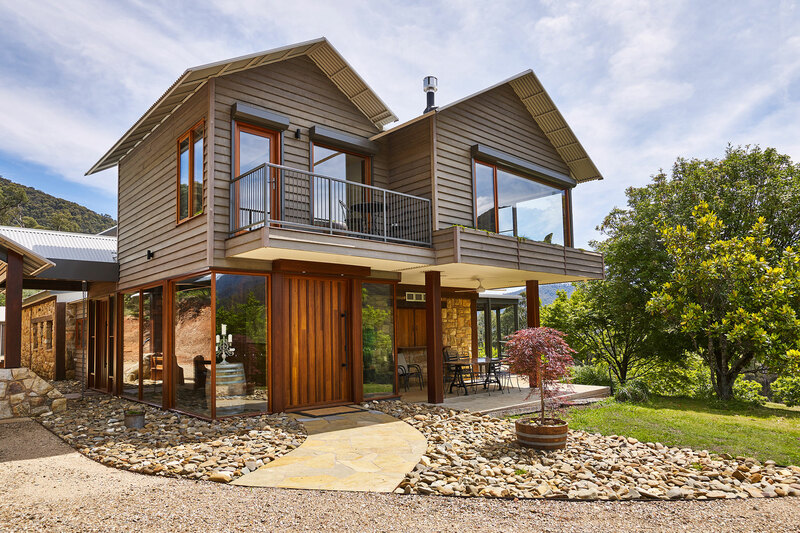 Based in High Country Victoria, Bright Alpine Builders is a multi HIA-Award winning company that delivers high quality custom built homes and commercial properties, operated by chief builder Steve Graves. 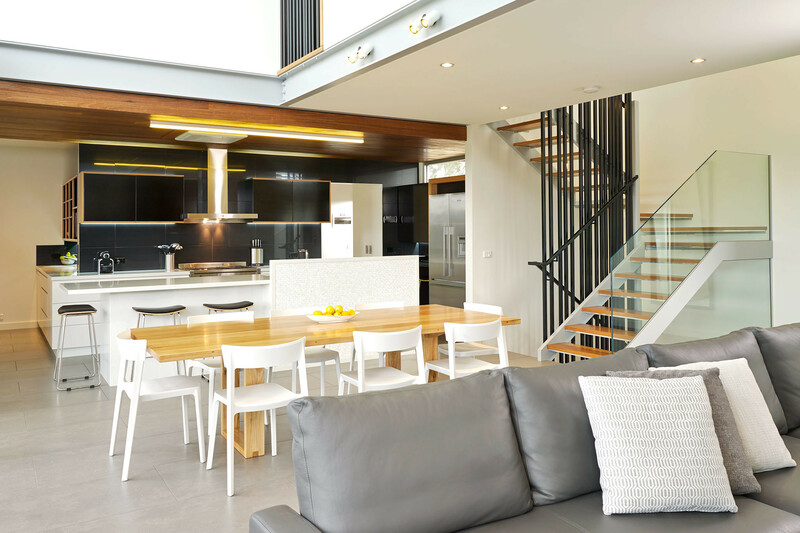 With many years experience of building custom residential homes and medium commercial projects, Bright Alpine Builders can offer a complete building solution – handling everything from the design, construction and fit-out, to the furnishing and finish of a dwelling. 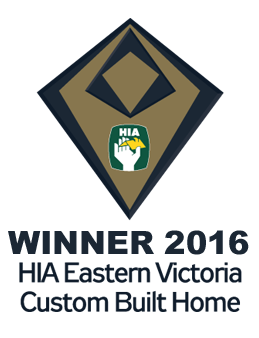 Please view the comprehensive homes archives page links [select from the website menu].